1. 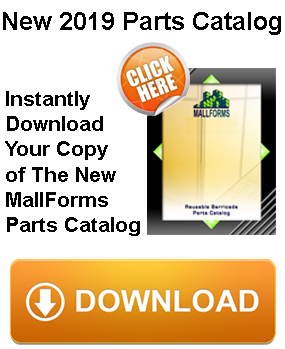 Why should I consider the MALLFORMS barricade system? 2. What are the barricades made of? 3. Has the MALLFORMS barricade system been fire rated? 4. 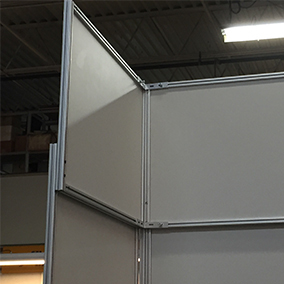 What size are the barricade panels? 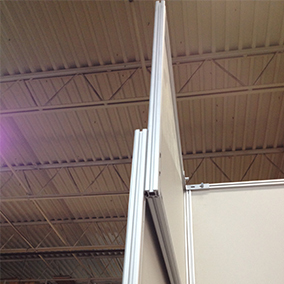 5. Who installs the MALLFORMS barricade system at my mall(s)? 6. 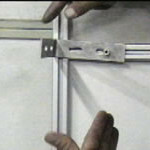 How long does it take to install a MALLFORMS barricade? 7. 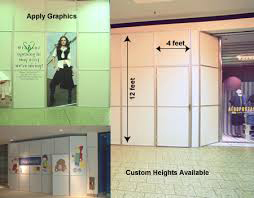 Some of the elevations in my mall are not even; can the MALLFORMS barricade system work for my slanted floors? 8. Are the MALLFORMS barricades sturdy and safe? 9. How do I secure the barricade to the floor and/or ceiling? 10. Do the MALLFORMS barricades have door sections? 11. 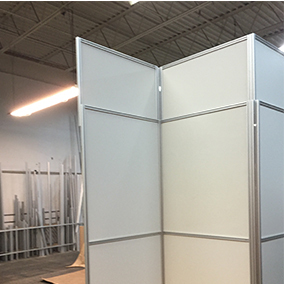 How are graphics applied to the MALLFORMS barricades? 12. Are the MALLFORMS barricades available in different colors? 13. What about display cases and light boxes? 14. Where are the MALLFORMS barricades stored? 15. If we have a question about a unique situation while deploying the MALLFORMS barricade system, do you offer support? 16. If I wanted to order a MALLFORMS barricade today, how fast can you ship? 17. Do you offer INSTALLATION INSTRUCTIONS? 18. 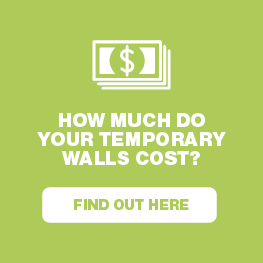 How easy is it to setup the temporary wall system as partitions in offices? 19. Do you have a stabilizing cap? 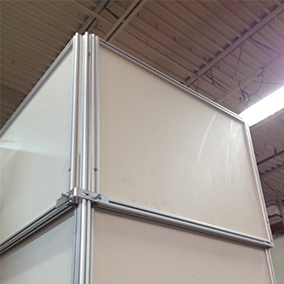 The MALLFORMS barricades are reusable, simple to set up, clean, and will not disrupt operations. 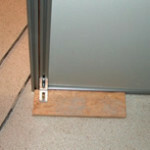 Shopping Centers and contractors save thousands of dollars the first year with the MALLFORMS barricade system. The barricades are very easy to set up. 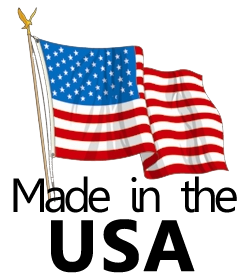 We have found through customer surveys that mall maintenance personnel and mall contractors set up the barricades. 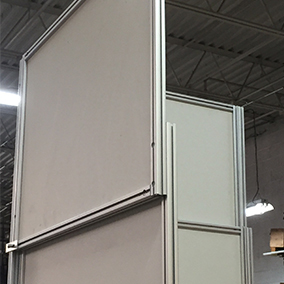 A typical 30’ long, 12’ high barricade takes a two-man crew less than 2 hours to deploy with no cutting, dust, mud or painting. 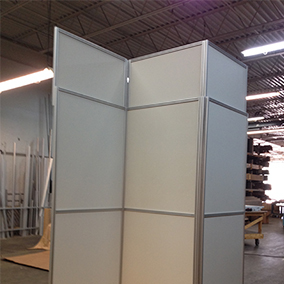 Depending on the angle, we can add adjustable feet or customize the panel section to accommodate the slant. Yes, the barricade system is definitely sturdy, safe and will last many years. 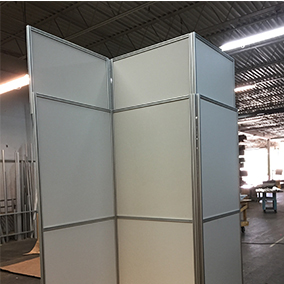 MallForms Barricades are currently being used in malls, airports, casinos, lobbies and commercial interiors all across North America. 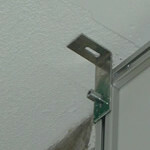 Hardware and brackets provided with the system are used for securing the barricade to the floor, walls and ceiling. Yes. 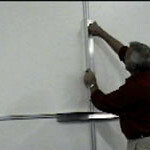 You can have a single door section, double doors and/or multiple door sections. Graphics can be applied in many ways. Click here for actual photo illustrations. Yes. 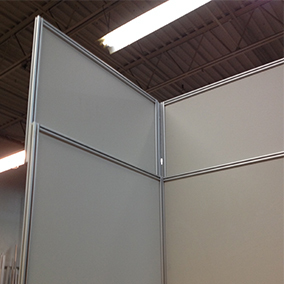 The MALLFORMS barricades are available in other colors. 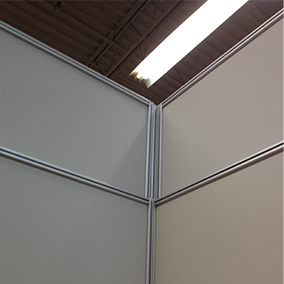 Take note that we stock the standard off-white panels. Special ordered colors have a longer lead time and different pricing. 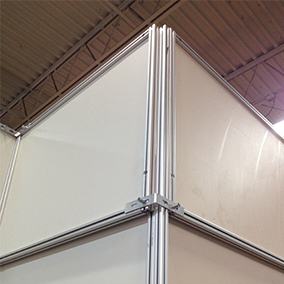 One of the many benefits of using the MALLFORMS BARRICADE system is the fact that it is a modular system. 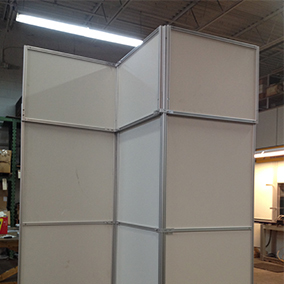 We offer display cases with/without lighting built to your specifications. Rear lit graphics can also be incorporated. You can use the display module in one barricade and not use it in another. The system is very adaptable. 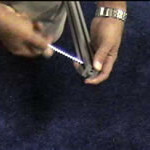 We can ship within 72 hours depending on the color and size of your order. Yes. An installation manual is included in your shipment. You can view that installation manual along with step by step installation videos right here on our website (on the installation page). It is extremely easy and quick to set up. You can view the simple directions to set them up on our assembly page. 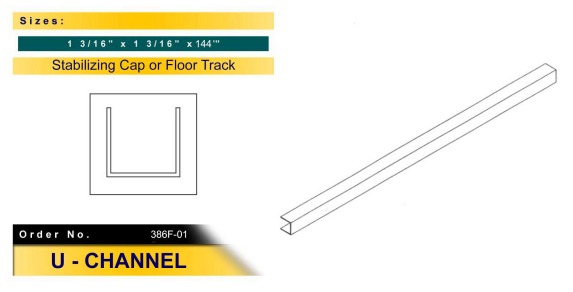 Yes, we have a U channel that fits right over the top that will give even more strength and stability that can be used a cap or a floor track.